Hi, I am interested in your 2019 Yamaha Other Yamaha Models (stock #N/A) listed on Autotrader for $10,999. I'd like to get more information about this vehicle and confirm its availability. 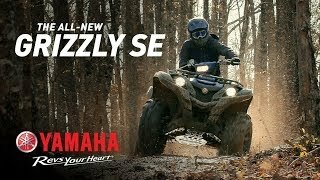 Special Edition color and graphics, Maxxis Zilla tires, 14 cast aluminum wheels and superior overall rec utility performance help the new Grizzly EPS SE conquer even the toughest terrain.